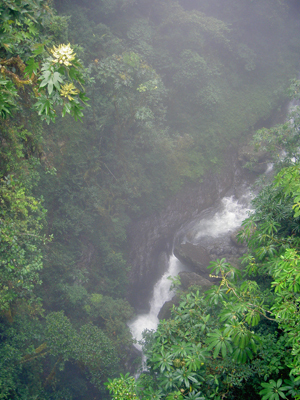 A bike tour through the transition zone between the extension of the Tunari mountain range and the cloudforest of the Yungas of Chaparé. We will leave Cochabamba in the early morging to travel by private transport up to the mountain pass of Colomi which is close to the community of the Wakanqui. Here our bike tour begins. 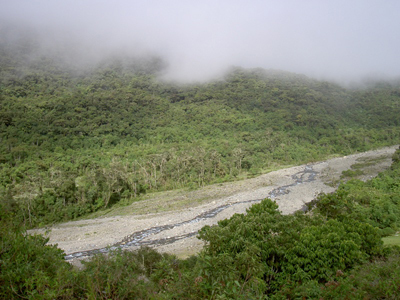 After the first part downhill we will pass the village of Aguirre – Kotani (ancient path to the Chapare), the Yana Ghagha mountain lake, to ascend up to the mountain pass of Incachaca (quechua meaning: bridge of the Inca). 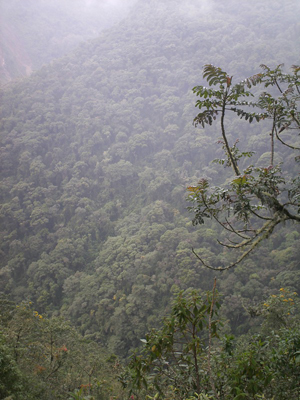 From now on we will start to descend to the semi – tropical zone of the Chapare. 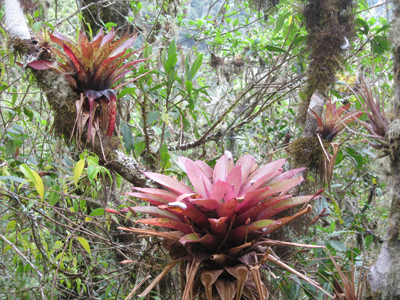 On our way we will pass through dense fog patches, forests with a wide range of flora as various types of orchids, bromeliads, and giant ferns. The fauna over here is being characterized by the Andean bear, foxes, innumerable range of butterflies and other wild animals that sometimes can be seen. Arriving at Incachaca we will see an incomparable beauty of nature with semi- subterranean waterfalls, natural schwimming wholes of crystal clear water, and an over 60 metres deep gorge.